About the Chef: Lukas Leaf is a Minnesota-based chef with Modern Carnivore. He was previously Executive Chef at the award-winning Al Vento restaurant in Minneapolis. He strives to use local, seasonal, sustainable and wild ingredients in his cooking whenever possible. 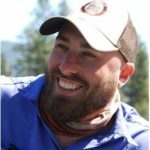 Lukas is an avid, passionate outdoorsman and an active member of Backcountry Hunters & Anglers. 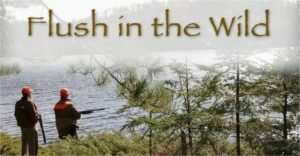 Lukas spends his free time fishing, foraging, hunting, camping and cooking in the great outdoors with family and friends. Visit www.modcarn.com for more information. Lukas Leaf is a Minnesota-based chef with Modern Carnivore. He was previously Executive Chef at the award-winning Al Vento restaurant in Minneapolis. He strives to use local, seasonal, sustainable and wild ingredients in his cooking whenever possible. Lukas is an avid, passionate outdoorsman and an active member of Backcountry Hunters & Anglers. Lukas spends his free time fishing, foraging, hunting, camping and cooking in the great outdoors with family and friends. One of Lukas’ recipes featured in the Outdoor News Taste of the Wild is for spatchcock grouse with an apricot glaze. Check out this video of Lukas preparing this recipe over a campfire when he accompanied Iraq war vet Erik Packard on his first grouse hunt.